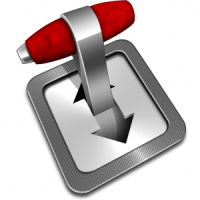 It is highly recommended to run your BitTorrent client over VPN to protect your online privacy, and one of the best ways to do this is by using VPN Split Tunnel where only Transmission’s traffic will be routed over VPN connection and you will retain your direct connection to Internet for all the other users. This method also implements the Automatic Kill Switch option and prevents possible DNS leaks. To access Transmission you will need nginx Reverse Proxy (even on local network). Part 1 is to complete the guide Force Torrent Traffic through VPN Split Tunnel Debian 8 + Ubuntu 16.04. If you have already configured Split Tunnel, then you can continue with this Part 2 guide to configure Transmission to use the VPN split tunnel. It is important that you have a working Split Tunnel on your server before you can proceed with configuring Transmission for VPN Split Tunneling, otherwise it will not work! Important: This guide is written for Ubuntu Server 16.04 LTS and Debian 8 systems (like Minibian, Raspbian, Bananian) that uses systemd services. It might work on other Linux distributions, but it is guaranteed to work on Ubuntu Server 16.04 LTS and Debian 8. For Ubuntu Server 14.04 LTS, upstart scripts are required instead of systemd services. If you are using Ubuntu Server 14.04 LTS, jump to the Configure Transmission for VPN Split Tunneling on Ubuntu 14.x guide. After configuring the VPN Split Tunnel in Part 1, we need to install Transmission and configure it to run as the vpn user so that only the Transmission torrent traffic goes through the VPN connection. In case of Ubuntu Server 16.04 we will use the official Transmission PPA to make sure the latest Transmission version is installed. Note: If you are on Debian 8 (Minibian, Raspbian) then skip this part and go to the Debian 8 section of this guide. Transmission is now installed, you can proceed to the Create Systemd Service Unit part of the guide. After Part 1 of the Split Tunnel VPN guide is completed, and you have a working VPN Split Tunnel configured on your system, it is time to install Transmission. First we need to modify the systemd service for transmission-daemon to run as the vpn user. Next we will override the default systemd unit by creating a drop-in snippet which is applied on top of the original unit. It is the proper way to edit systemd unit files provided by packages. If Transmission is updated, the changes will remain and not be overwritten. Copy and paste the following content. This will ensure Transmission is run as vpn user, and that the Transmission service is started after the VPN tunnel (tun0) is up. I strongly recommend to create a download folder for your torrents and set the required permissions. In this example we will create a folder Downloads in the regular user’s home directory, in our case it is htpcguides. Of course, you should modify the path to fit your setup replacing htpcguides with your username. 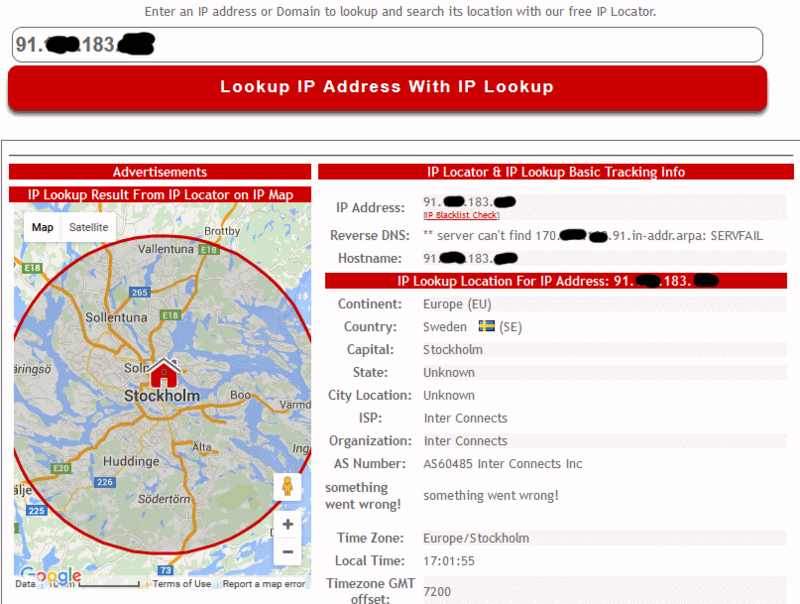 The rpc-whitelist setting specifies which IP addresses may access the Web interface. We are going to use an nginx reverse proxy to retain remote access to the Transmission web interface. With this method it is sufficient to limit access to the localhost only – the default value. This will work just fine as long as Transmission and nginx are running on the same server. In addition, it is much more secure since only localhost will have access to Transmission. Note: since we limit access to Transmission except the localhost (using iptables from the Part 1 of the guide), you can not access Transmission GUI even if you whitelist your home network range. You need to use nginx reverse proxy. The following section will show you how to configure nginx reverse proxy. Note this configuration uses plain, unencrypted http connection for nginx. If you plan to access Transmission from outside of your local network you should consider configuring nginx with a secure SSL certificate using our guide Secure nginx Reverse Proxy with Let’s Encrypt, or alternatively you can configure with a self-signed certificate following the guide Enforce SSL for Secure nginx Reverse Proxy Linux (now that Let’s Encrypt provides free valid certificates, I strongly recommend to use it). If you need access to Transmission (or other services) only from your local network, then you can use the following simple nginx configuration. You can now access Transmission using the reverse proxy at http://ip.address/transmission or using your dynamic DNS address http://yourdns.address/transmission (Remember, you can access Transmission only through the nginx reverse proxy). In order to make sure that none of the services included in Transmission are going to leak your IP address, I recommend to set the following settings. These recommendations are based on discussions of various forums. While disabling these settings might somewhat reduce the number of peers you can connect to, it is better to keep them disabled to minimize the chance of leaking your IP (if you are using a private tracker, you should disable these options anyway). 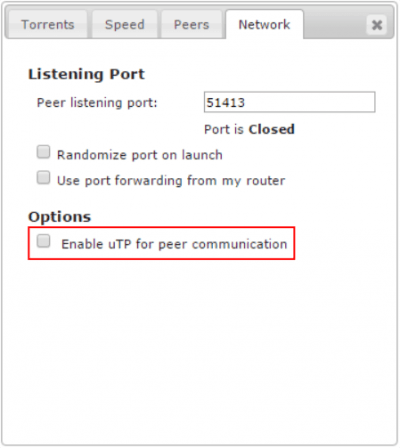 In the Network tab, the Peer listening port is closed, which will limit the number of available peers you can connect to, but opening the port over VPN is not recommended as it greatly reduces security. 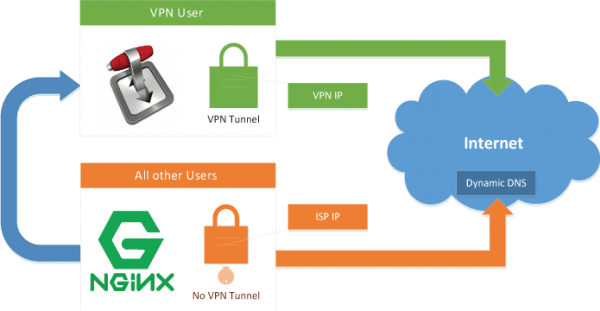 Some VPN providers offer port forwarding like PIA do, but it requires additional configuration and it is better to avoid opening ports in terms of security. However, for private trackers an open port might be required, stay tuned for a guide for port forwarding with PIA and VPN Split Tunnel.